Hi friends! We here at Regular Guy Brewing hope you had a fantastic weekend, I know we sure did! Wanna know why? We started brewing again! Maybe you noticed, or maybe you didn’t, but we took a couple of weeks off after we finished up our last beer. Brian took his family on vacation, Seth and I got together with Matt from Recess Brewing, and when Brian got back we used a night to just hang out as three best friends. Holy cow friends, I haven’t filled you in since July 5th! A bunch of stuff has happened, but I just haven’t had the chance to write about it. That stops NOW! So, what has been going on? I’ve got some pictures to satisfy your curiosity! Hello friends! Hoping everyone had a fantastic long weekend and a safe Independence Day. How did you celebrate the birthday of our great nation? For our international friends, how did you celebrate the beginning of another work week? 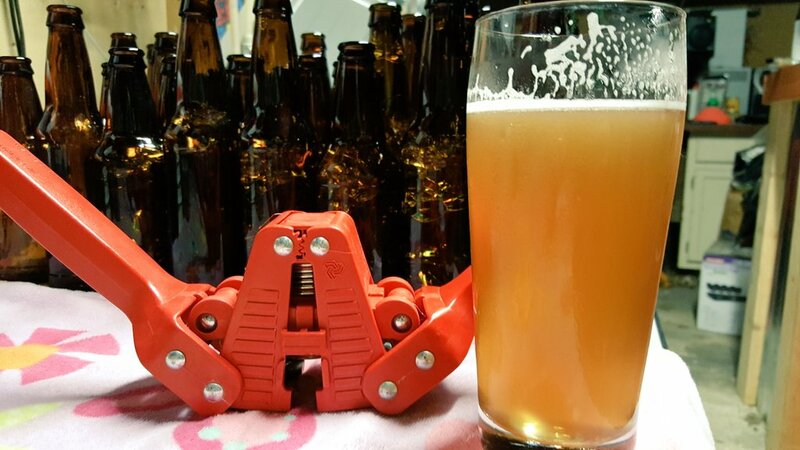 I’ll tell you how we prepared for the holiday, we bottled our most American brew, our Cream Ale! Not letting you down this week! No sir!